The 2020 Mercedes-Benz GLE350 is all most drivers will need, but the GLE450’s inline-6 and available hydropneumatic suspension vault this crossover SUV into another world. The 2020 Mercedes-Benz GLE-Class delivers no-compromise crossover SUV comfort and luxury. With the 2020 GLE, Mercedes-Benz sheds the crossover SUV’s occasionally compromised past. Set to go on sale in the spring of 2019, the 2020 Mercedes GLE-Class is as much a high-riding E-Class wagon as it is an off-roader. For most buyers, that’ll be just fine. 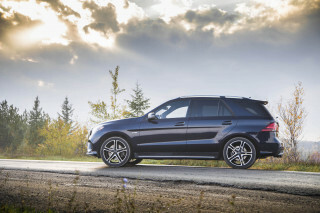 The GLE launches initially in a single body style with either turbo-4 or turbo-6 power. Four-cylinder GLE350 models come standard with rear-wheel drive and offer all-wheel drive as an option, while all GLE450 crossovers send power to each wheel. The GLE350 uses a 255-horsepower 2.0-liter turbo-4 paired to a 9-speed automatic transmission to furnish power likely to be more than sufficient for most drivers. Opting for the GLE450 nets buyers Mercedes’ sublime turbocharged inline-6 engine paired to an 48-volt electrical system that saves fuel and adds a passing-power 21-hp boost to its 362-hp rating. The 48-volt electrical system can also power an available active body control system tied to an air suspension that uses cameras and sensors to watch the road ahead to preemptively strike back against rough pavement. A GLE450 with the active body control system will undoubtedly be costly—Mercedes hasn’t detailed pricing yet—but it promises an S-Class-grade ride. Even without that tech, the GLE absorbs bumps in stride and can be entertaining when pushed. The GLE’s two-box silhouette echoes the M-Class that pushed Mercedes into the 20th century. 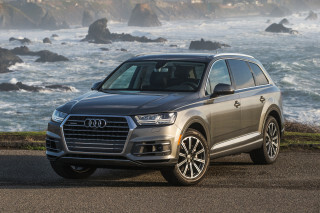 Its rakish C-pillar and big three-pointed star are cues to the past, but the new model has a more rugged look than ever thanks to fender flares that come unpainted or can be specified in body color. Inside, the GLE’s look takes the E-Class’ organic, curvy shapes and squares them off, at least a little. A pair of 12.3-inch screens sit under a single panel of glass on higher-trim versions, the left one handling instrument cluster functions and the right working as a touchscreen for Mercedes’ new MBUX infotainment software. MBUX works well, mostly, but its best feature might be its voice-recognition system. Gesture controls are also available, but seem more distracting than useful. The GLE’s interior is supremely spacious and, in the high-trim versions Mercedes has shown us so far, it’s exceptionally luxurious. The front seats are supportive and offer a good, but not great, view out, and the rear seats have plenty of room for two or three. A third row is optional, but most users will be better off waiting for the inevitable redesigned GLS-Class—it’s in essence a GLE with a stretched body. Mercedes hasn’t announced GLE-Class pricing, but it’s not likely many will leave its Tuscaloosa, Alabama, assembly plant for less than $60,000. Options run the gamut, from Burmester audio to a head-up display to a package with heated front seats and armrests. An in-car fragrance diffuser is even available. For a price, of course. 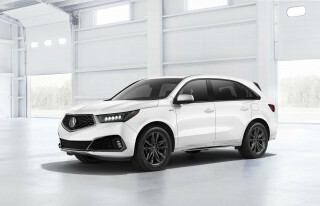 The good news is that all GLEs include automatic emergency braking, blind-spot monitors, LED headlights, and car-to-X communication that makes them somewhat future-proof. 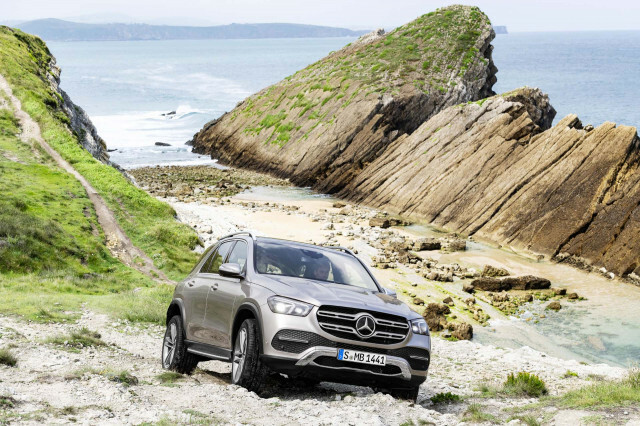 For a two-box crossover SUV, the 2020 Mercedes-Benz balances sophistication and rugged touches exceptionally well. The 2020 Mercedes-Benz GLE-Class has a cohesive look inside and out. We give its exterior a point above average and see fit to add two points for its gorgeous, well-wrought interior. The 2020 GLE keeps a few of the cues that made its M-Class predecessor a hit when it arrived in 1997. The rakish C-pillar behind the rear door is an obvious cue, as is the big three-pointed star fastened to its grille. The new model charts a new course in a few ways, though. For one, it revives the original’s gray plastic, but only on its fender flares. On lighter colors, the contrast is sporty and almost rugged. Opt for the AMG appearance package, as many GLE buyers will likely do, and those unpainted bits are sprayed to match the body. The GLE’s wide tires give it presence not unlike the BMW X5, but with more sinuous details such as grille trim that varies by appearance package and narrow taillights that stretch across its tailgate. Inside, the GLE is even better. A single pane of glass covers its twin 12.3-inch screens, which sit above a quartet of rectangular climate control vents. Rocker switches for climate functions sit below and a touchpad for infotainment inputs takes up residence and considerable real estate on the center console. Mercedes sticks with its tradition of parking the gear lever on the steering column, a move we don’t find objectionable. Big handles on either side of the center console do a good job of making the interior feel sporty. A wide variety of trim surfaces from aluminum to various glossy and matte-finish wood panel choices let buyers choose their level of gauche. A warm brown leather with open-pore wood trim is our favorite, although the ambient lighting that can be adjusted to nearly any color of the rainbow can switch things up depending on the driver’s mood. Mercedes will likely redesign the popular, if less-than-practical, GLE Coupe. 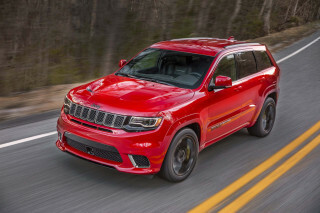 For now, the only body style is the traditional two-box GLE. In every configuration, the 2020 Mercedes-Benz GLE-Class has superb road manners. The 2020 Mercedes-Benz GLE-Class might as well be an E-Class wagon with a higher seating position. That’s no diss on the stellar E-Class. Thanks to excellent suspension control and sharp steering, the GLE narrows the gap between crossover SUVs and cars. The GLE350 uses a 2.0-liter turbo-4 engine rated at 255 hp and 273 pound-feet of torque. Rear-wheel drive is standard and all-wheel drive is optional on the 2020 GLE350. The base engine is smooth and silent. Around town, its 9-speed automatic hustles through the gears with relentless efficiency. Even on the highway the GLE350’s engine furnishes decent passing power. It only feels underpowered against the stronger GLE450’s 362-hp turbocharged inline-6, a gem of an engine paired to a 48-volt electrical system. The GLE450’s 48-volt system has a 21 lb-ft of torque “boost” that allows the gas engine to turn off during gentle highway cruising, such as on a 55-mph highway through town or on a quiet country road. That boost mode also comes into play for rocketing past slower traffic on a two-lane road. Most GLEs will ride on coil springs that give the crossover SUV a firm but composed ride. The standard 19-inch alloy wheels that give the GLE its muscular stance are partly to blame, but they also provide it with tenacious grip. An option on the GLE450 is the automaker’s hydropneumatic active body control system, which pairs with its air suspension and myriad forward-facing sensors to anticipate the road ahead for imperfections and to adjust each corner accordingly. We’ve not yet driven a GLE450 with this advanced suspension, and it’s likely to be an expensive and uncommon option. The system looks at each corner individually and can even rock the GLE out of a sand dune if it becomes mired. The GLE isn’t a serious off-roader, but its air suspension can be raised to climb obstacles. The GLE450’s all-wheel-drive system can send up to 100 percent of power to to either axle, while the one on the GLE350 uses each wheel’s brakes individually to accomplish the same task. There’s no low-range transfer case, but the traction control system has an off-road mode that may come in handy on a beach. It’s on the highway where the GLE makes the strongest case for itself. We noticed more wind noise than expected, but otherwise it’s a serene, comfortable cruiser suited for long hauls. Its steering is direct and centered well even on a windy day during our initial preview drive. Mercedes’ numerous driver-assist features work well to reduce road fatigue, too. In addition to adaptive cruise control designed for high-traffic situations, the GLE can be fitted with a system that’ll look for an open spot and can shuffle the big crossover SUV on its own at the tap of the turn signal. Hotter versions of the GLE tuned by Mercedes’ AMG division are certainly on the way. The 2020 Mercedes-Benz GLE-Class drapes passengers and cargo in luxury. The 2020 Mercedes-Benz GLE-Class doesn’t skimp on anyone, at least as long as the optional third-row seats aren’t ordered. The GLE’s front seats are spacious and highly adjustable, even in base trim. Option packages pile on a wide range of massaging functions, adjustable bolsters, cooling, and heating that extends to the armrests. The rear seats aren’t quite as luxurious, but the bench is well-proportioned and situated high enough off the floor for good long-distance comfort. Four-zone climate controls are on the GLE’s options list, as are power-adjustable rear seats. For a price, of course. Cargo hardly suffers, but Mercedes hasn’t released full dimensions for the GLE’s interior. A pair of forward-facing third-row seats is available, but we’d advise opting for the larger Mercedes GLS if you need to seat more than five in a vehicle with the brand’s three-pointed star. So far, all we’ve experienced are highly optioned GLE crossover SUVs draped in leather, fine wood, and aluminum trim. It’s unlikely that base models will feel spartan inside, but we’ll update this space if lower-equipped models don’t meet our expectations. The 2020 Mercedes-Benz GLE-Class has an exceptionally long list of standard safety features. Every 2020 Mercedes-Benz GLE-Class comes with automatic emergency braking that can detect pedestrians and blind-spot monitors. 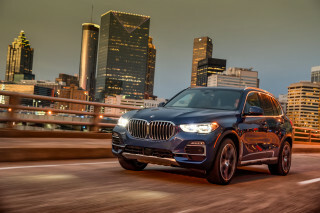 Adaptive cruise control with stop-and-go is optional and is bundled with active lane control and a system that can move the 2020 GLE into an open lane automatically if the turn signal is tapped. The GLE can do its best to steer itself out of an impending collision, either by braking an individual side of the vehicle if the driver tries to merge into another car or by adding steering force during an evasive maneuver. We’ll update this space when we know more about how the GLE-Class holds up in federal and independent crash tests. It’s hard to imagine a feature not available—at a price—on the 2020 Mercedes-Benz GLE-Class. Open up your pocketbook and Mercedes-Benz will build you a 2020 GLE-Class at its plant near Tuscaloosa, Alabama, with just about any luxury. An in-car fragrance diffuser? Sure. Front seats with hot stone massage and cooling at the same time? Why not. An air suspension that moves each wheel up and down individually to extricate itself from a sand dune? Yes, please. Base models are well-suited to most needs, but a highly optioned model can be outfitted to an almost ridiculous level. The base GLE350 comes standard with rear-wheel drive, synthetic leather seats that are power-adjustable up front, and a pair of 12.3-inch screens under a single pane of glass. The right display is a touchscreen for Mercedes’ MBUX infotainment system with built-in navigation that includes Apple CarPlay and Android Auto compatibility, features several of its rivals either charge for or don’t offer. Blind-spot monitors, keyless ignition, automatic emergency braking, and LED headlights are also standard. One complaint: The five standard USB ports are all USB-C, but Mercedes will include an adapter for USB 2.0 devices. All-wheel drive is optional on the GLE350, as is a package with additional active safety tech such as adaptive cruise control and active lane control. The GLE450 is outfitted about like the GLE350 with all-wheel drive, plus it includes a 48-volt electrical system that can run the optional hydropneumatic suspension. Options on both include leather upholstery, various wood trim panels, Burmester audio, four-zone automatic climate control, a third-row seat, and an AMG body kit with wheels as large as 22 inches. Mercedes-Benz hasn’t announced fuel economy figures for the 2020 GLE-Class. Given the turbo-4 is new to Mercedes’ mid-size SUV, it’s hard to estimate where the GLE350 will land. The smaller GLC300 uses a version of the 2.0-liter turbo-4 and it’s rated at 22 mpg city, 27 highway, 24 combined in most configurations. The GLE450’s 48-volt electric system provides some assist and allows the crossover SUV’s gas engine to turn off under light load cruising situations, which should help fuel economy. On our initial preview drive, we saw an indicated 30 mpg in mostly highway driving in the GLE350 and 27 mpg on a similar route in the GLE450. 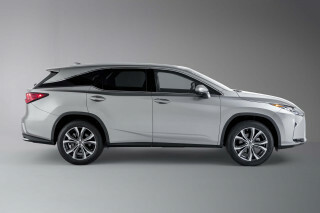 Both crossover SUVs have a stop/start system that cuts the engine at stoplights. The system is among the less obtrusive but can be turned off at the press of a button.